After the Galaxy S9 and S9 +, the Huawei P20 is the next flagship most anticipated in recent times. Not only the P20, Huawei also introduced two other sessions that are P20 Lite (Huawei Nova 3e) and P20 Pro. The launch event will take place on March 27, in Paris. Today, more information is leaked by Roland Quandt. 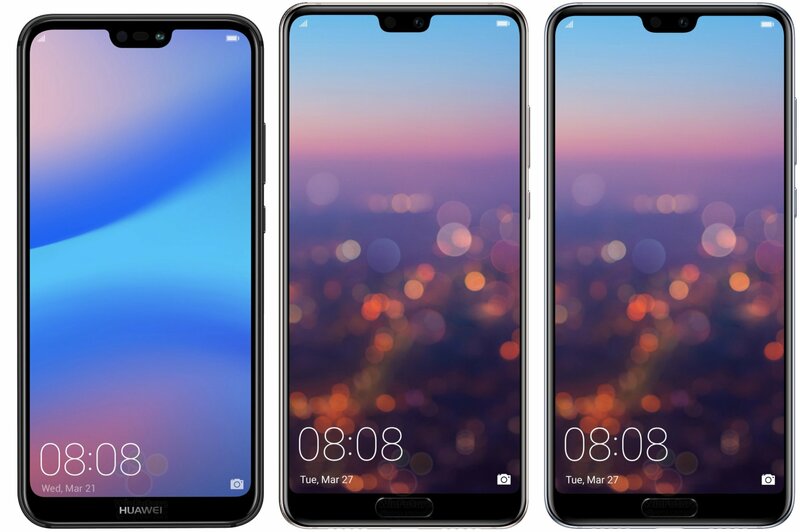 The result is a rendered view of the three versions of Huawei P20, along with color choices. According to these images, P20 will be available in three colors: black, blue and yellow. The P20 Pro will be available in black, blue and “Twilight” colors (purple and green). The P20 Lite will be available in black, blue and pink, and the P20 Lite fingerprint sensor is on the back. In terms of design, the P20 and P20 Pro will be made of metal. The P20 Lite (which will be called the Huawei Nova 3e in some markets) will have a backside made of reflective glass, which will allow the back of the machine to change color under the influence of light. However, the camera system on the P20 Lite is not made with Leica. In addition to design, the parameters of the machine also leak. Accordingly, the P20 will be equipped with a 3,400 mAh battery, P20 Pro will be larger with 4000mAh – equal to the Huawei Mate 10 Pro. On the other hand, Huawei will remove the expansion card slot on these three devices and also the 3.5mm headphone jack will be discarded. About the camera, the P20 and P20 Pro will have dual camera systems with an aperture of f/1.6 and f/2.4, respectively. The P20 Pro will probably have a telephoto lens for 3X optical zoom. In addition, they have an infrared sensor and laser focus system. The European market price is expected to be €680 for the P20, €370 for the P20 Lite and € 900 for the P20. Pro. The numbers are not cheap at all, but this is still just rumors. Official information will be available on March 27 and do not forget to follow TechRUM to update the latest information.